Our neighbourhood shines bright as best supporting actor in a downtown destination marketing rom com, setting the scene for a classic will-they-won’t-they romp through the city’s core. The City of St. Catharines asked us to create a video that would celebrate the recent revitalization and growth of our downtown neighbourhood. With specific target markets in mind, the video was to highlight the opportunities for economic prosperity and quality of life when you #InvestinSTC. We developed a campaign that applied best practices in destination marketing - creating a sense of relatability with locals while positioning the neighbourhood as an aspirational location for outsiders to set up shop. The video production would be complemented with an organic and paid social media plan that leveraged the social networks of featured venues, production partners, and more. 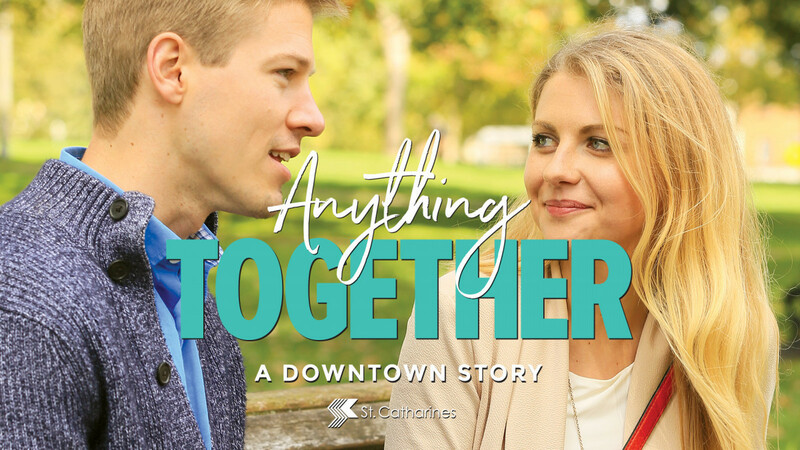 In contrast to the typical sizzle reel frequently used by municipal marketers, we proposed a short film that would allow the downtown to shine while keeping the attention of viewers with an engaging story. Filled with easter eggs and recognizable locales, we scripted the film strategically to leverage high-profile venues and personalities who would be enticed to share their on-screen moment in an organic way. From script writing to casting calls, location coordination, soundtrack design, and filming, we were hands on at all stages of video production to ensure the client’s goals weren’t lost in the fun of a rom com that could stand on its own. We cast professional actors with on-screen chemistry and built their journey around some of the shiniest stars of our downtown community, backed by a soundtrack of all-local talent that we were proud to show off. We treated our short video like a feature film, rolling out teaser clips and a trailer across social channels to build traction prior to the film’s launch. We equipped production venues and downtown brands with video clips and video stills to share, along with instructions that would support the messaging of the campaign and allow for social tracking. The grassroots organic campaign was supported by paid posts across Facebook and Instagram, ultimately driving traffic and viewership to the feature video on YouTube. We challenged ourselves and our client with this project, taking an unconventional approach to a typically straightforward task in economic development and tourism marketing. Anything Together was awarded Best Video at the 2018 Marketing Canada Awards, reaffirming that our unconventional approach to destination marketing was a risk worth taking. Since the launch of this film we’ve received nothing but positive and enthusiastic feedback both locally and from outside of the community.